Introduction | Calibration | Characterization | Conversion | Software | Scanners | Monitors | Output | Maintaining | How Good Is Good Enough? 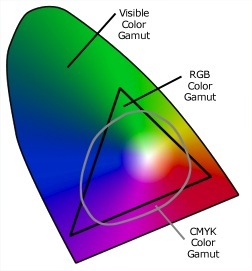 One option to assist you with color management is with the use of Apple's ColorSync software. Applications such as Adobe PageMaker®, Photoshop®, and Illustrator®; QuarkXPress, Macromedia Freehand, and more than 90 other products, all support ColorSync. ColorSync is supplied with every copy of the Macintosh Operating System and is available at no charge. 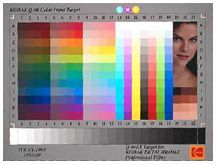 With the changes in technology such as inkjet proofing, remote proofing, direct-to-plate, the Web, and digital photography, color management is needed more than ever to ensure quality and consistency. Some customers do not need exact color. It may depend on who your customer is, what product you are producing, and what its purpose is. If what you are providing is "close enough", then spending a lot of time and money on color management may not make sense.